Dr. Tyson began practicing in 2002 and tries to convey to patients that our spines are important, and that we can’t simply assess our health based on how we feel that day. 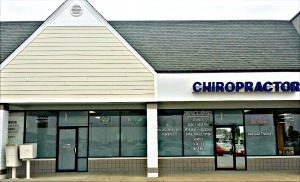 Compared to other area chiropractors, we provide advanced care to our patients. We offer state-of-the-art rehabilitative care, which combines physical therapy and chiropractic care. We are able to affect great changes in people’s spinal health. Using Chiropractic BioPhysics, our focus is on the true cause of your symptoms and pain. We have helped thousands of people just like you, eliminate their pain and regain their youth and vitality! This is what draws patients to us from other chiropractors and keeps them coming back to maintain their health. Because chiropractic care directly addresses spinal health and the health of your nervous system, many of your body’s other systems are also affected, indirectly. 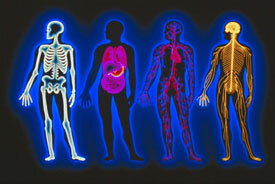 Your central nervous system – your brain and spinal cord – is your body’s master system. Every other organ, tissue, and cell receives instructions on when and how to do its job from the nervous system, via spinal nerves and smaller nerve branches. Simply put, when your nervous system is not functioning properly your body as a whole will not function properly. You may have pain. You may have symptoms of specific diseases. It is important to address these symptoms and the possible causes, which lie within the nerve system. We help these conditions by restoring the spine back to where it should be. Creating spinal change actually addresses symptoms, but only because the change we make addresses the root cause. We’re able to see both subjective and objective changes – symptoms decrease and go away, but we also look for change in comparison of the initial and later X-rays. Patients love to see these before and after shots, and correlate their own reduction in symptoms. Contact our Midlothian office today to learn more about how Advanced Care Chiropractic and Wellness Center and chiropractic can help.